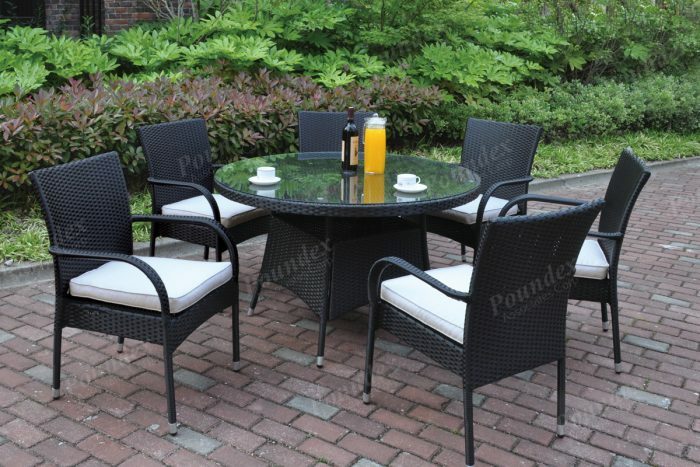 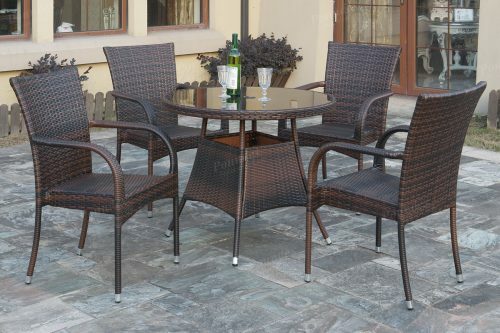 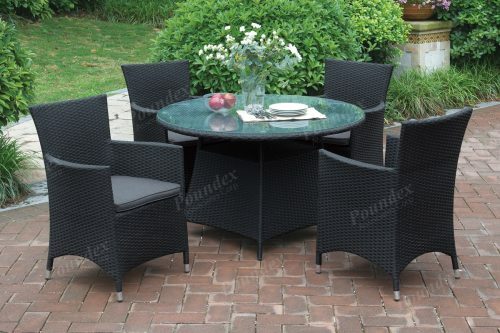 A merged design of indoor and outdoor furnishings, this 7-piece patio set features a round table and chair in minimalist décor. 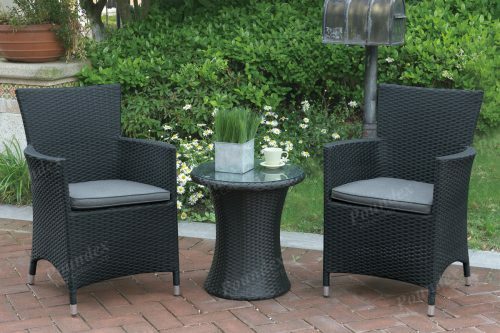 Select from dark brown or tan with an aluminum and resin wicker frame. 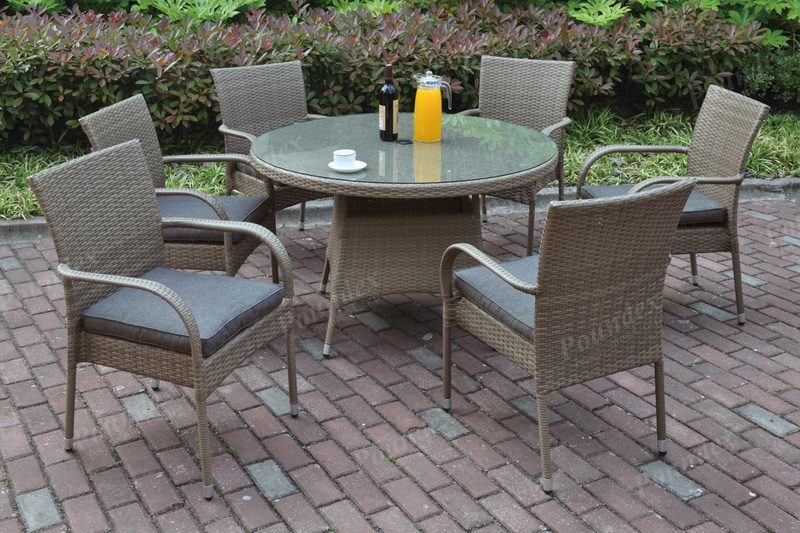 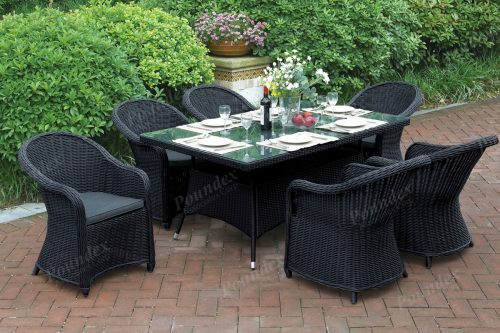 Set includes a round table with a glass countertop and six simple and sleek chair with cream or tan seat cushions.